My research is at the interface of International Relations Theory and Political Philosophy. I orient my studies around the Problem of Sovereignty, the institution that has been central to the theory and practice of politics in the modern era. Sovereignty, as a concept, is central to both IR and Political Theory, and I approach unpacking the problem of sovereignty by asking the “what is …?” question: What is Sovereignty? My current research project, Internalizing the International: The Affect of the Political, focuses on the political psychology of sovereignty; specifically, I look at how our understanding of affect and emotion in the tradition of political philosophy has influenced the development of sovereignty as a concept and in practice. This project begins to answer the question “What is Sovereignty?” by focusing on the relationship between sovereignty and political psychology. To this end, I focus on the Affective Turn in IR theory and the role of the emotions in the history of political thought to shed light on the ways our understanding of individual political emotions are reflected in the concepts of sovereignty and security. 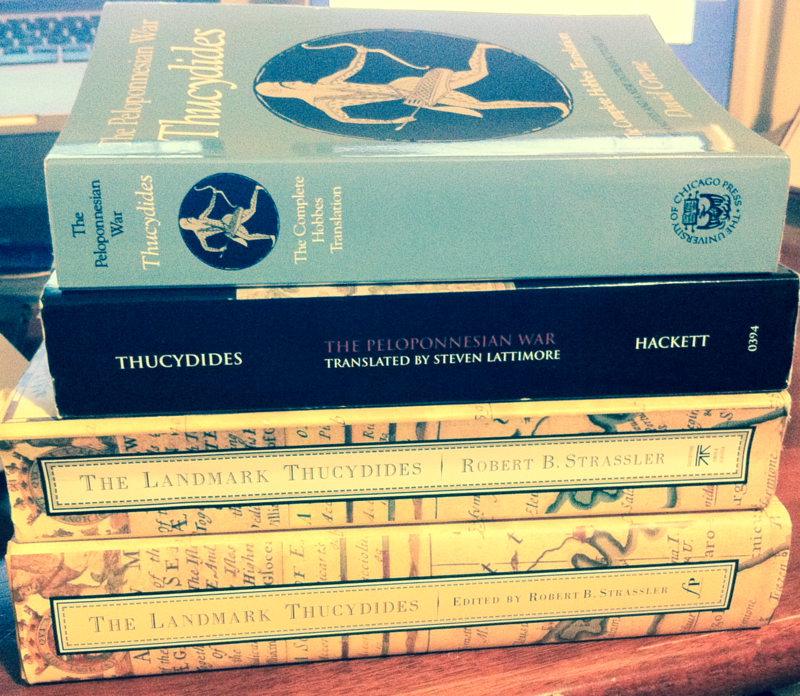 Thucydides and Aristotle are my touchstones, here, due to their incredible influence on the thought of Thomas Hobbes. By returning to Thucydides and Aristotle, it is possible to open up a new space for critique so that we might see the philosophical choices Hobbes made while founding the modern variants of Liberalism and Realism. My next major research project will transition from the political psychology of sovereignty to the political theology of sovereignty. Under the working tittle The Biopolitics of Religion it focuses on the politics of the Catholic Church in the light of governmentality and global governance. A smaller, article-length project on the horizon will use “script theory” – an often ignored aspect of Affect theory – to rethink how we conceive of citizens as the subjects and objects of security. This paper discusses the role that the Catholic Church has played as a Global Governance institution before and after the Peace of Westphalia. The Catholic Church is in the unusual situation of having been the sole worldly international institution to function as a de facto world government. Moreover,the system of modern sovereignty was constructed in direct opposition to the rule of the Church. Unlike other institutions one must explain how the Catholic Church has survived as an institution given the changes within the international order, as opposed to accounting for how it came into being in a system of competitive sovereign states. I turn to Foucauldian ideas of governmentality and biopower to understand the survival and performance of the Catholic Church as an international regime. I contend that the biopolitics employed is better understood as psyche-power: the influence of the Catholic Church goes beyond disciplining bodily and political behaviours and seeks to strike at something far more normative, ideological, and ideational than other international institutions. Given the recent fascination with affect and the political emotions, this paper addresses the relationship between affect and theories of sovereignty. Taking its bearings from the Practice or Phronetic turn in International Relations theory — and this literature’s explicit use of Aristotle’s concepts of habit, practice, and persuasion — this paper addresses the relationship between emotional or affective reactions to the political, and the response the institution of sovereignty represents to these reactions as manifested in the idea of the security state. The science and theory of sovereignty (first articulated in Hobbes’s Leviathan) is built upon a specific political understanding of emotion, of one’s affective reaction to what is “foreign” or “outside” of one’s immediate experience. This link between sovereignty and affect has already made its way into security studies via the integration of political psychology into International Relations; however, this initial link between affect, psychology, and sovereignty is premised on the idea that affective responses represent a problem for which sovereignty is the solution, or that emotions are a problematic disturbance to the rational order of politics, and are a security threat as such. Consequently, the capacity for affect and the political emotions to be the site of a critique of sovereignty rather than a threat to sovereignty has yet to be fully developed. This paper treats affect as a site of critique by returning to the first systematic presentation of political psychology in Aristotle’s Rhetoric — the source for Hobbes’s theory of sovereignty as guarantor of security — arguing that sovereign power is itself better understood as an “affect of the political” rather than as a attempt to moderate, control, and manage political emotions.